Suffolk County Legislator Rob Trotta at a press conference announcing that he is sponsoring legislation to suspend the Red Light Camera Program in Suffolk County. Smithtown, NY - April 15, 2016 - At the April 12 General Meeting of the Legislature, Suffolk County Legislator Rob Trotta (R, Fort Salonga, NY) introduced legislation, IR 1395, to suspend the Red Light Camera Program in Suffolk County. Legislator Trotta has received numerous complaintsfrom his constituents in the 13th Legislative District, as well as from other residents in Suffolk County, about the County’s Red Light Camera Program. Objections range from the short length of yellow lights turning red to the location of the cameras. This law was initially introduced to enhance the safety of residents according to county officials. However, it is Legislator Trotta’s contention and that of many residents that this program is nothing more than a ‘money grab’ to increase revenue in the county. Last October, Suffolk County Republican legislators held a hearing in Hauppauge to solicit input from the public about the County’s Red Light Camera Program. Mothers, fathers, and seniors as well as fire rescue personnel, questioned the location of some of the cameras, as well as the timing of thelights. They made reference to an increase in rear end accidents since people were stopping at the yellow to not get caught on camera if the light turned red while they were making a right turn. Since the inception of the Red Light Camera Program, Legislator Trotta has been a strong critic of the program. “This is just another example of Suffolk County Executive Bellone’s administration’s attempt to raise revenues through ‘taxation by citation,’ said Trotta. According to the latest report from the Suffolk County Red Light Safety Program for the calendar year 2014, accidents with injuries in Legislator Trotta’s district have actually increased over 100% at certain intersections in which there are red light cameras. Commack Rd. & Dorthea Rd. Based upon data in this report, Legislator Trotta is introducing legislation to suspend the Red Light Camera Program. He asserts that the public has lost confidence in the program and, in some cases, accidents with injuries have actually increased, such as, at Indian Head Road and Route 25 they saw accidents go from 19 before cameras were installed to 34 accidents after they were put in. Therefore, Trotta says,suspending the Red Light Camera Program will provide an opportunity to re-evaluate it and consider changes that will be in the best interest of the taxpayer and drivers. 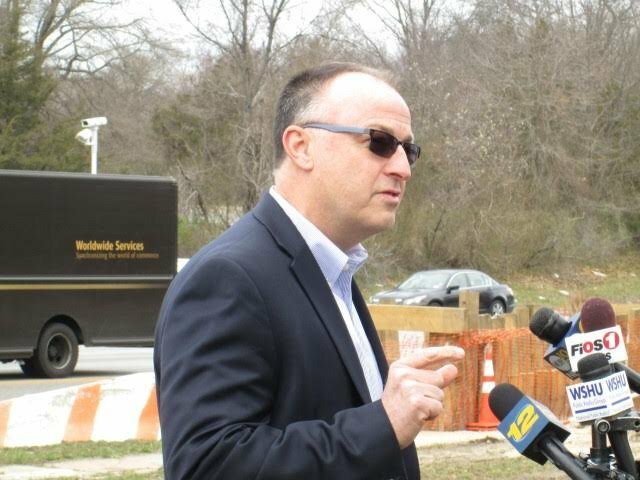 Subject: LongIsland.com - Your Name sent you Article details of "Legislator Trotta Sponsors Legislation to Suspend Suffolk Red Light Camera Program"